Halo 4 still has some life left in it, as 343 has announced that there is more content coming for the game in the Champions bundle, which will feature new content and a brand-new mode. Polygon reports that the bundle, which is also available in separate parts, will firstly feature the Bullseye Pack. This will bring sports-themed armor, a new map called Vertigo, and a remake of Halo 3‘s map The Pit, called Pitfall. In addition to those goodies, there will also be a new mode called Ricochet, which is a 5v5 match nicknamed “combat basketball” by 343. In it, each side will fight for control of a ball to score points by either throwing or running the ball. Presumably, this will be blended with the classic Halo multiplayer for a unique twist on sports and capture the flag. Prefect, Mark V and ODST armors are also available in other packs. If you purchase the bundle for 800 Microsoft Points on August 20 when it releases, you get access to Ricochet two weeks before the rest of the world, at which point it will be available in matchmaking. 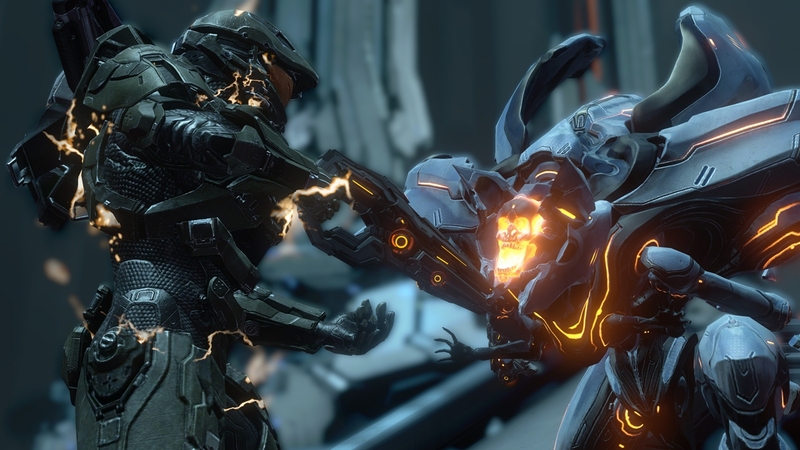 Will you be shelling out for more Halo 4 content? Tell us in the comments or visit us on Facebook and Twitter!